The brain controls how much we eat, when we feel fed, and how our body uses the calories consumed. Modern fat-rich diet undermines this brain function and contributes to over-eating and obesity. More than one third of Canadians are obese. Obesity causes diabetes, elevating the risk of stroke and atherosclerosis. Anxiety affects 12% of Canadian population and anxiety disorders are prevalent in people with obesity-associated type 2 diabetes. My laboratory is working to identify the common molecular links between metabolic disorders (diabetes and atherosclerosis), stroke and anxiety in order to develop common therapies to restore healthy brain function. In addition, patients with schizophrenia and autism often display metabolic syndrome. Signalling pathways affected in metabolic syndrome may be therapeutic targets to ameliorate these two disorders. The techniques used in the laboratory include molecular biology, cell culture, optogenetics, in vitro (brain slice) and in vivo electrophysiological recording and pharmacological studies and animal behavioural tests. The animal models used include several cell-type specific transgenic or knockout mice, middle cerebral artery occlusion and photothrombosis for stroke studies, bone marrow transplantation for atherosclerosis. 3. Almontashiri NA, Antoine A, Zhou X, Vilmundarson R, Zhang S, Hao K, Chen HH*, Stewart AFR*. 9p21.3 coronary artery disease risk variants disrupt TEAD transcription factor binding and TEAD-dependent TGFβ regulation of p16 expression in human aortic smooth muscle cells. Circulation. 2015 Nov 24;132(21):1969-78. # Editorial by MacRae CA, Pollak MR. Effect size does matter: the long road to mechanistic insight from genome wide association. 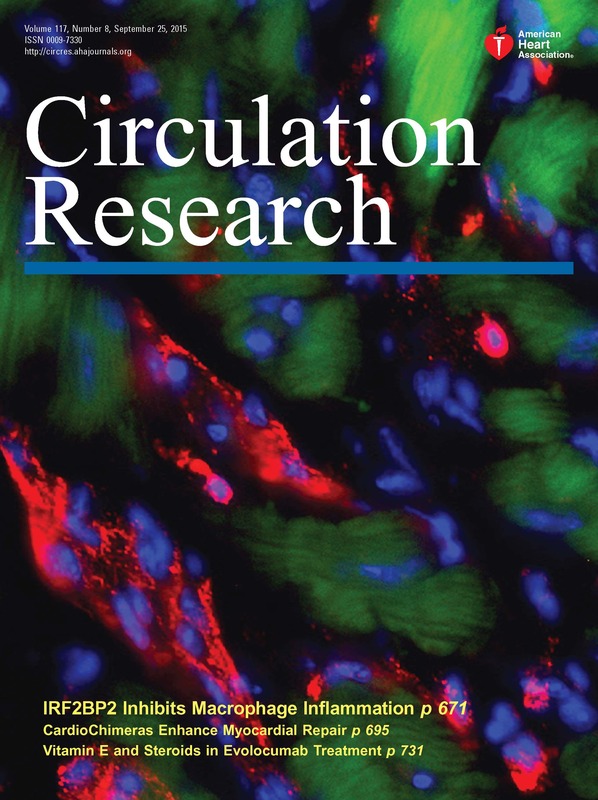 Circulation, 2015 Oct 20. pii: CIRCULATIONAHA.115.019306. 4. Chen HH*, Keyhanian K, Zhou X, Vilmundarson R, Almontashiri NA, Cruz SA, Pandey NR, Yap NL, Ho T, Stewart CA, Huang H, Hari A, Geoffrion M, McPherson R, Rayner K, Stewart AFR. IRF2BP2 in macrophages controls inflammation and susceptibility to diet-induced obesity and atherosclerosis. Circulation Research. 2015;117:671-683. DOI: 10.1161/CIRCRESAHA.114.305777. # Featured as a Cover of the issue. Circulation Research. 2015;117 (September 25). # Editorial by Zhang H, Reilly MP. IRF2BP2: A New Player at the Crossroads of Inflammation and Lipid Metabolism. Circulation Research. 2015;117:656-658. DOI: 10.1161/CIRCRESAHA.115.307245. 5. Qin Z, Zhou X, Pandey NR, Vecchiarelli HA, Stewart CA, Zhang X, Lagace DC, Brunel JC, Béïque JC, Stewart AFR, Hill MN, Chen HH*. 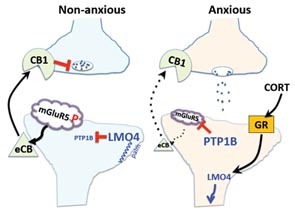 Chronic Stress Induces Anxiety via an Amygdalar Intracellular Cascade that Impairs Endocannabinoid Signalling. Neuron. 2015 Mar 18;85(6):1319-1331. doi:10.1016/j.neuron.2015.02.015. Epub 2015 Mar 5. 6. Chen HH, Stewart AFR. Making sense of GWAS: Integrating genetic variation with gene expression to derive functional mechanisms underlying disease risk. Circulation. 2015 Feb 10;131(6):519-21. Epub 2014 Dec 22. 7. 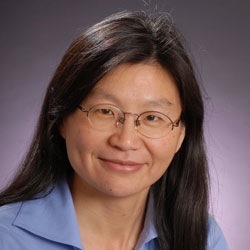 Almontashiri NAM, Chen HH, Mailloux RJ, Tatsuta T, Teng ACT, Mahmoud AB, Ho T, Stewart NAS, Rippstein P, Harper ME, Roberts R, Christina Willenborg6 and Jeanette Erdmann6 for the CARDIoGRAM, consortium, Pastore A, McBride H, Langer T, Stewart AFR. SPG7 variant escapes phosphorylation-regulated processing by AFG3L2, elevates mitochondrial ROS and associates with multiple clinical phenotypes. Cell Reports. (2014) 7(3):834-47. 8. Zaman T, Zhou X, Pandey NR, Qin Z, Keyhanian K, Wen K, Courtney R, Stewart AFR, Chen HH*. LMO4 is essential for paraventricular hypothalamic neuronal activity and calcium channel expression to prevent hyperphagia. Journal of Neuroscience. 34(1):140-8 (2014). 9. Pandey NR, Zhou X, Qin Z, Zaman T, Gomez-Smith M, Kayhanin K, Anisman H, Brunel JM , Stewart AFR, Chen HH*. 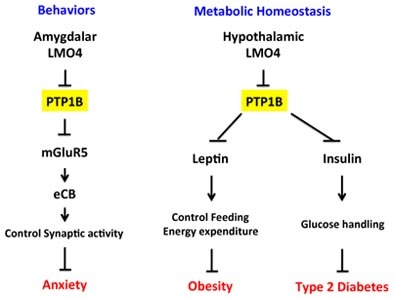 LMO4 is a metabolic responsive inhibitor of PTP1B that controls hypothalamic leptin signaling. Journal of Neuroscience. 33(31):12647-55 (2013). 10. Qin Z, Zhou X, Gomez-Smith M, Pandey NR, Lee KF, Lagace DC, Béïque J-C, Chen HH*. LMO4 regulates calcium-induced calcium release and synaptic plasticity in the hippocampus. Journal of Neuroscience. 32(12):4271-83 (2012).